In a previous entry, I discussed the literary and cultural contexts of Jacob Algaba’s 1541 Hebrew translation of Garci Rodríguez de Montalvo’s 1508 chivalric novel, Amadís de Gaula. Here I would like to talk more directly about the text of the translation itself, in order to show what Algaba’s translation does as a translation made by and for members of a culture in diaspora. Amadís de Gaula is a chivalric romance that became a bestseller and major entertainment franchise in sixteenth-century Spain. In 1508 Garci Rodríguez de Montalvo published what would be the first of a multiple-volume series of the adventures of Amadis of Gaul and his numerous successors. It spawned a wildly successful (and widely critcized) genre of popular novel that famously met its demise at the hands of Miguel de Cervantes, who mercilessly parodied the books in the figure of Don Quijote. The novel was perhaps the most important exemplar of the Spanish chivalric imagination, an iconic brand or franchise that was instantly recognizable as Spanish. It was a natural favorite for Sephardic Jews who, while living in Constantinople, Salonika, or elsewhere, spoke Spanish and still identified strongly with the vernacular culture of their land of origin. Its reception by Sephardic Jews and its translation into Hebrew offers us a glimpse into the literary practices of the Sephardic diaspora. The Hebrew Amadís can help us to better understand the diasporic cultural production of the Sephardim. And when we say ‘diaspora,’ what do we mean? 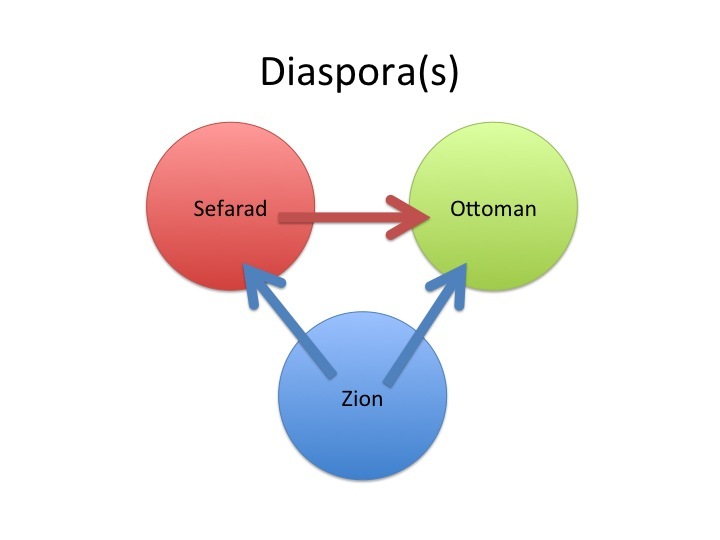 I’ve written in another post on the idea of ‘double diaspora,’ that the Sephardim (Spanish Jews) experienced not only the diaspora from their Biblical homeland, which I will call ‘Zion’ but also a diaspora from Sefarad (Spain). They experienced —and gave voice to— the separation from their ancestral land of Sefarad in terms both real and symbolic, and their cultural production in the Ottoman Empire and elsewhere in the Sephardic diaspora should be understood in light of this fact. Why does this matter when we are studying the cultural significance of a translation? It matters because in doing so we are expanding the discussion of Jewish diaspora. First-wave modern theorists of diaspora writing in the 1970s and 1980s argued that the cultural imagination of diasporic populations vacillate between two geographical territories, constantly mediating between the symbolic value of their homeland and the lived reality of their current hostland. Later theorists of more recent diasporas have criticized this ‘dual-territorial’ model. Sudesh Mishra, one of the harshest critics of this approach, argues that it cannot address the complexities of the modern diasporas of Indian, African, Chinese, and other populations. This discussion has prompted historians and theorists of Jewish diaspora take a second look at how they think about Jewish history and culture in diaspora. 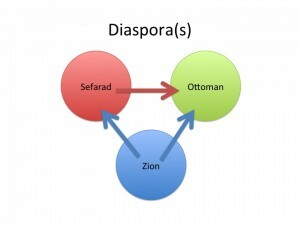 The concept of ‘double diaspora’ attempts to account for some of this complexity by studying the cultural production of the Sephardim in and beyond Spain as giving voice to two overlaid layers of diaspora that interact, and in the words of Jonathan Boyarin, “echo back and forth” in the Sephardic cultural imagination. Before examining the text of the translation itself it is worth considering Algaba’s Hebrew Amadís in the context of the Hebrew print culture and of the Ottoman Jewish society of the times. The Hebrew print industry was active in Spain from the late fifteenth century, and presses in Spain produced a great number of religious works (Bibles, Talmuds, Biblical commentaries, liturgical and moralistic texts, etc.) but also volumes of philosophy, science, and what we might call secular prose such as histories and fiction. In the early sixteenth century Hebrew printing continued to flourish first in Italy and then in Ottoman cities such as Salonika, Adrianopole, and Constantinople. For most of the sixteenth century nearly all titles with any discernible Jewish content were published in Hebrew (in Salonika printers brought out a few titles in Judeo-Spanish, and Italian printers published some in Italian or in both Italian and Hebrew) but for the most part Hebrew had pride of place as the prestige language of the Jewish press. However, Jewish printers in Italy and the Ottoman Empire were not culturally isolated or closed to the vernacular and learned languages of their non-Jewish neighbors. On the contrary, the itinerant printer Gershon Soncino (who moved his press a number of times to various locations in Italy and the Ottoman Empire) published a number of titles for Christian patrons in Italian, Greek, and Latin. Apparently, the Greek vernacular culture of the Ottoman Romaniote Jews did not have sufficient caché to warrant repackaging in Hebrew. Constantinople Jews were not commonly very proficient in Turkish in the sixteenth century, and in any event the Ottomans did not license Turkish-language printing until the mid-eighteenth century, so that option was not on the table for Soncino. In Ottoman Jewish society, Hebrew was the academic and religious lingua franca of a number of different ethnic groups who had settled in Ottoman cities. While Salonika in the sixteenth century was overwhelmingly Sephardic, the indigenous Greek-Speaking Romaniote Jews had significant communities in the cities and were joined by Ashkenazi Jews from Western and Eastern Europe as well as some Mizrahi (Eastern) Jews from the Arabic, Persian, and Turkic-speaking areas of the Ottoman Empire and beyond. But by their numbers, their superior cultural level, and their considerable network of commercial and diplomatic contacts, the Sephardim quickly emerged as the prestige subculture of Ottoman Jewry. This, along with the fact that Sephardim conversant in Spanish would have no need of a Hebrew translation in order to read Amadís, suggests that the translation was made either for Greek-speaking (but Hebrew-reading) Romaniote Jews in Ottoman lands or perhaps for non-Spanish-speaking Jewish readers in any country that Algaba’s edition might eventually reach. At this time Jewish merchants, diplomats, and scholars traveled widely throughout the Mediterranean and beyond. While he have no documentary evidence of the reception of Algaba’s translation, it is not unreasonable to think that copies may have ended up in the hands of readers in Cairo, Tunis, Venice, Troyes, or Cochin for that matter. Sephardic culture (in the broad sense) had long history of prestige in the East, going back to Maimonides, who retained the sobriquet ‘Ha-Sefardí’ long after leaving his native Cordoba. The Ottoman Sephardim likewise represented this prestige, expressed both in their Spanish vernacular culture and in the wealth and influence they wielded. Accordingly, the Sephardic community attracted and assimilated members from the other groups, and soon was the dominant ethnic culture in Ottoman Jewish society. As we read Algaba’s text we should keep two things in mind: he was in all likelihood writing for non-Sephardic Jews, and he was consciously representing Sephardic culture to them in choosing to translate a Spanish (European) novel, a genre that had yet to be introduced to Hebrew. Most of the examples of Algaba’s de-christianization of the text are similarly routine; but some merit interpretation. 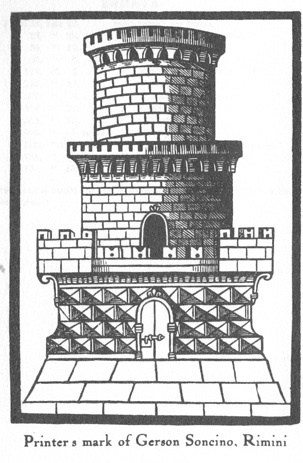 When King Languines orders a traitorous woman burnt to death, Algaba instead has her thrown to her death from a high tower. His reluctance to depict her being burned may be out of respect to victims of the Spanish Inquisition. His alternative may be dawn from Josephus: in the Sefer Yosippon, the medieval Hebrew translation of Josephus’ history, Jezebel meets a similar fate as punishment for her sins. In particularly playful rabbinical allusion, Amadís deals his enemy a crippling blow to the thigh. In addition to the direct translation for thigh (yareakh) Algaba adds a technical term drawn from the rabbinic discourse on koshering animal carcasses: maqom tsomet hagidin, ‘the place where the tendons come together.’ This is Algaba’s ironic response to the episode in Genesis where the angel, tired of wrestling with Jacob all night long, finally “wrenched Jacob’s hip at the socket” (32: 26). The Biblical text then explains “that is why the children of Israel to this day do not eat the thigh muscle that is on the socket of the hip [i.e. sirloin, top loin, etc. ], since Jacob’s hip socket was wrenched at the thigh muscle” (32:33). Where the Biblical texts derives its dietary ruling from the battle between Jacob and the angel, Algaba playfully writes the language of dietary restriction back into the battle between Amadís and his opponent. Perhaps most significant for our discussion is Algaba’s interpretation of Montalvo’s frequent references to the chivalric and courtly cultural world represented in Amadís. It stands to reason that non-Sephardic Jews, who had never lived in Christian Europe would be unfamiliar with the institutions and practices of chivalry that form the fabric of the social world of Amadís. You cannot, of course, trade on foreign caché that is totally incomprehensible to your audience. To this end Algaba tailors Montalvo’s references to the institutions of chivalry, social conventions, and courtly practices that may have fallen outside the experience of his non-Sephardic readers. As in the examples of de-Christianization, some such examples are superficial, but telling of differences of expectations of what ‘courtly’ or ‘chivalric’ might mean to non-Sephardic, Jewish audiences. A character named ‘la doncella de la guirnalda’ (‘the damsel of the garland’), so named because she always wore a garland of flowers to accentuate her beautiful hair, becomes in Algaba’s version the ‘damsel of the crown,’ an accessory that ostensibly made more sense to the Ottoman readers to whom a garland of flowers might have seemed more rustic than idyllic. Algaba often renders declarations couched in elevated courtly language (which abound), in Biblical Hebrew, which better emphasizes their high register. When Amadís declares “¡muerto soy de corazón!” (I shall die of heartbreak! ), Algaba renders mah anokhi, she-nitraf libi! (‘What will become of me, for my heart is torn asunder!’), deploying the rarer first-person pronoun anokhi found in the Hebrew Bible. When a rival knight mocks Amadís as unworthy to love Oriana, challenges Amadís to “tell me who she is, so that I may love her.” Algaba puts into his mouth the instantly recognizable words of the Song of Songs (6:10): haged na li mi ha-nishkafa-kemo shahar (‘who is she that shines through like the dawn’). Again Algaba shows a bit of playfulness in his ironic deployment of biblical language, emphasizing the intensity of the discussion between Amadís and his rival in a way that makes sense to his audience. Algaba translates some of the specific conventions and practices of Spain’s chivalric culture into more familiar, general terms. When Amadís swears an oath of service to Helisenda, he does so “en esta cruz y espada con que la orden de cavallería recebí” (‘upon this cross and sword which I received with the Order of Chivalry’), referencing a specifically Christian, chivalric practice of swearing upon a sword planted point down so that the handle and guard resemble a cross. 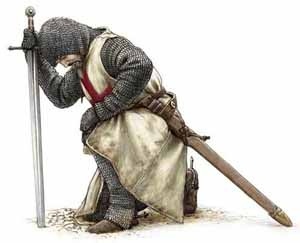 The reference to the Order of Chivalry would most likely be opaque, and swearing on the cross unacceptable to a Jewish audience. Algaba has him swear simply upon his sword as a kind of shorthand. When Helisena appeals to the honor of King Perión’s squire, she asks him if he is an hidalgo (nobleman of low rank); by this she means ‘are you an honorable individual with whom I can trust my secret?’ Algaba preserves the equation of high birth and good moral conduct implied by the word hidalgo but his Helisena asks the squire ‘who are you and your family? Are they high born? (me`olah, literally ‘superior’ or ‘fine’). Very occasionally, Algaba demonstrates his familiarity with courtly and chivalric discourse by introducing elements of them into the Hebrew when they are absent from the Spanish. In one such example, Amadís is complaining to Oriana about the difficulty of deferring his sexual desire for her. His complaint is couched in standard language of the courtly lover. He claims it is an impossible task, because his “juizio no puede resistir aquellos mortales deseos de quien cruelmente es atormentado” (‘better judgment cannot resist those mortal desires by which it is cruelly tormented’). What is interesting is that Algaba’s Hebrew rendering introduces a different trope of the courtly lover, one that is also characteristic of Montalvo’s day but that is absent from prior Hebrew tradition. He writes: “my heart is bound and tied in iron chains,” an image very much consistent with the late medieval Western European poetic convention of love as a form of slavery or imprisonment (Spanish books on amorous topics of the late fifteenth century included Siervo libre de amor ‘Free Slave of Love’ and Cárcel de amor Prison of Love). Here Algaba proves himself a knowledgeable reader of Spanish tradition who actively seeks to reconcile, integrate, and mediate between Hebrew and Spanish literary traditions. His insertion of this courtly trope speaks to his biculturality and more importantly to his role of translator mediating between diasporic communities, the Sephardim who represented the prestige of European courtly culture, and the Greek- and Arabic-speaking Jews who were his target audience. Algaba’s translation project was ultimately a commercial failure. His translation of the first book of Montalvo’s Amadís was of very low quality, and for whatever reason did not appear to have stimulated demand for subsequent installments. We have no concrete data to explain this fact, but we may speculate. Perhaps the time had not yet come for ‘light literature’ in Hebrew. Algaba’s Amadís was certainly alone in that respect: it is the only Hebrew edition of its times of a popular novel. 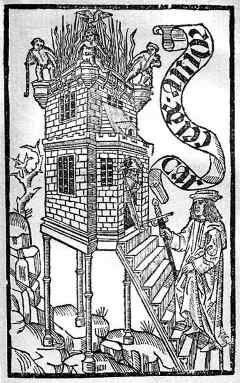 The other secular works that were published in the sixteenth century were more ‘serious’ literature: difficult rhyming prose narratives that were showy displays of erudition and arcana, histories of Jewish persecutions or of the regimes that persecuted them, and a smattering of philosphical and scientific works. Algaba’s test balloon novel was an aberration, and the European novel would not make a significant début in Hebrew until the eighteenth century. Nonetheless, Algaba’s Amadís does tell us a great deal about how he sought to represent Sephardic popular culture to the other communities of the Jewish diaspora in the Ottoman Empire of his day. His adaptation of Montalvo’s iconic work for a non-Sephardic Jewish audience is an illuminating example of how Sephardim chose to articulate their relationship with the land from which they found themselves in a second, Sephardic diaspora. Tanakh: The Holy Scriptures. 2nd ed. Philadelphia: Jewish Publication Society, 1999. Print. Boyarin, Jonathan. Personal communication. 3 Oct 1993. Cited in Clifford, James. “Diasporas.” Cultural Anthropology 9.3 (1994): 302-338, 305. Mishra, Sudesh. Diaspora criticism. Edinburgh: Edinburgh University Press, 2006. Rodríguez de Montalvo, Garci. Amadís de Gaula. Ed. Juan Manuel Cacho Blecua. Madrid: Cátedra, 1996. —. ʻAlilot ha-abir. Trans. Jacob Algaba. Ed. Tzvi Malachi. Tel Aviv: Tel Aviv University Press, 1981. Print. This post is based on a paper I gave at the 2012 Modern Langages Association Convention in Seattle, session #260, “From Spain to Sephardic Culture, Language, Literature, and Self-Identity.” You can see the slides here.